The last time the country's courts authorised such harsh police techniques as sleep deprivation and starvation was during the dictatorship. Brazil’s public relations disaster has gone from bad to worse. In September, congress impeached president Dilma Rousseff for dubious reasons, in what some have called a “democratic coup d’etat”. 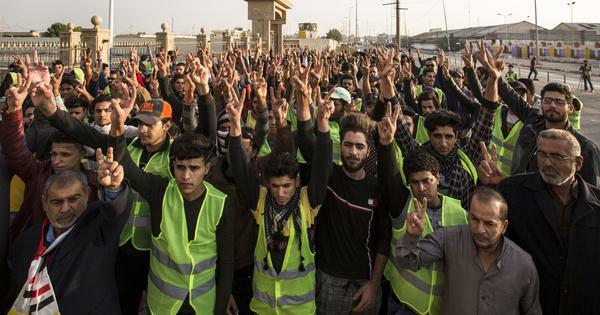 Since then, street protests against the new government have been violently repressed. Now, police are violently repressing children participating in school sit-ins. For the past two months, public school students across the country have been occupying their buildings to protest proposed educational reforms. The movement, which started in Paraná state in October, has spread to 221 universities and 1,000 secondary schools and gained the support of labour unions, civil associations and social movements. The peaceful actions, in which students halt normal teaching activities by chanting pro-education slogans, seek to publicise the damage that would be done if proposed Provisional Measure Nº 746 eliminates subjects such as art, sociology and philosophy from the syllabus, among other possible cuts. Pupils are also reaching out to their communities to explain the issues, undertaking cultural activities and participating in city council and legislative sessions. The students hope to pressure the government into engaging with society about the proposed reforms, which it has thus far eschewed. Publicly, Brazilian President Michel Temer has assigned little importance to the sit-ins, saying the kids “don’t even know what the [budget freeze] is really about”. But behind the scenes, the government has prevailed on courts to block the occupations. In Paraná State, for example, a judge ordered schoolchildren to leave voluntarily on penalty of a daily fine of R$10,000 (US$2,500). That’s an exorbitant amount for Brazil’s largely low-income public school families. Other courts have authorised aggressive reprisals more commonly associated with torture, says the group Advogados pela Democracia (Lawyers for Democracy), which is assisting the youngsters pro bono. Military police have cut off the supply of electricity, food and water to occupied schools in Paraná. In Brasilia, the police have ruled favourably on depriving students of sleep through the unceasing use of noisemakers. Such techniques violate child protection laws. And it’s significant that the last time they were deployed was during Brazil’s military dictatorship (1964–1985). The sight of children occupying schools, which are, after all, public places, should remind Brazilians of education’s central function: to help us become rational, civilised human beings who can live harmoniously in a society. That’s the philosophy that Jean-Jacques Rousseau detailed in his 1762 book Emile, or Treatise on Education. Public school students know from firsthand experience that in Brazil this value has been lost, and they are fighting to prevent further deterioration of a long-struggling but critical public asset. 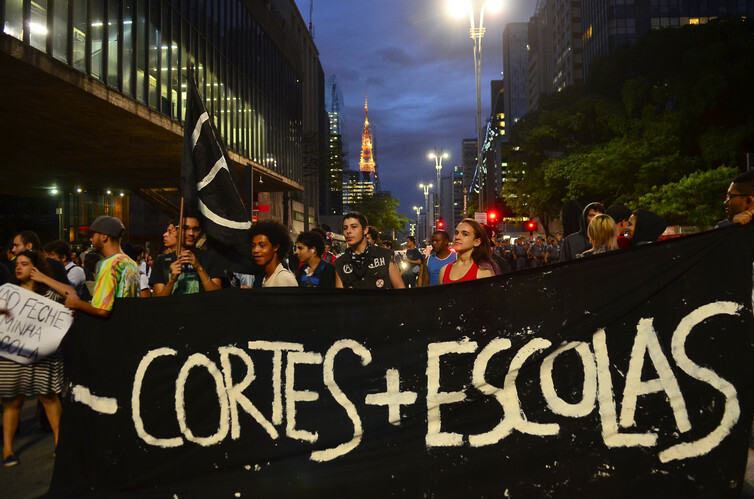 Though Brazil’s post-dictatorship 1988 Constitution defines education as a universal social right and a duty of the state, in practice it has long been restricted to elites. Efforts to democratise education have made some progress but left significant gaps. From 1990 to 2013, the national dropout rate of children aged seven to 18 years decreased from 19.6% to 7%, according to the Brazilian Institute for Geography and Statistics. But the 2013 national household survey showed that more than 3 million boys and girls still do not attend school regularly. Race and geography easily identifies these excluded youngsters. Most are poor, black or indigenous, and they live in either poor urban outskirts, semi-arid drylands of northeast Brazil, Amazon rainforest or remote rural areas. Many poor kids must abandon their studies to help support their families. Others have special needs that schools can’t accommodate. Given this reality, the protesting students are criticising more than budget cuts; they’re questioning Brazilian values. Attacks on education are in line with the general rightward shift that followed Dilma Rousseff’s impeachment. Her replacement, Michel Temer, quickly began to address what he calls a “fiscal crisis”, implementing a new tax structure and reforming entitlements. New social security legislation raises the retirement age from 55 to 70 while curtailing benefits, and proposed legislation would limit workers’ rights. The Temer government’s 20-year freeze on state spending promises to wreak havoc on many federal programs, including education. Other proposed education reforms have an ideological bent. The Temer administration wants to enable high schoolers to sign up for part-time vocational training in schools, rather than on a supplementary basis (as current law stipulates). Specialists say the measure would widen inequality, as poorer pupils opt for vocational training classes and leave school to take low-skill jobs while wealthier students graduate to get better positions. The new reforms come after years of cuts to education disguised as reform. In December 2012, São Paulo’s state government introduced changes to secondary school curricula, reducing arts, philosophy, sociology and geography classes. The then-governor upheld that unpopular decision, but when, in 2015, the state proposed closing 90 schools to save money, some 200 sit-ins forced the government to backtrack. Paraná state also responded to fiscal challenges in 2015 by eliminating 2,200 classes and laying off 33,000 educators. Teachers finally went on strike when the government proposed transferring R$8.5 billion (US$2.5 billion) from the civil servants’ pension fund to government coffers after having refused to raise salaries even modestly. Other Paraná civil servants joined the teachers’ walkout, triggering one of Brazil’s worst outbreaks of police violence. Around 200 teachers were injured. Local newspapers and education reporters covered these events to a certain extent, but it has taken state-sponsored torture of children to capture nationwide attention. Now, with the whole country watching (along with, increasingly, the world), Brazil’s government is under pressure to listen to its children’s voices, and not use the courts and police clad in riot gear to muzzle them. Renato Francisco dos Santos Paula, Professor, Universidade Federal de Goias.